Faculty of Health & Biological Sciences majorly focuses on education excellence and innovative research and is reflected by the academicians and researchers across Programmes, Centers, and Institutes. The strength of Faculty of Health & Biological Sciences is the depth and dedication of the team which works to promote better health, wellbeing and disease prevention in the world. With a number of new industries poised for development, Health Science is well positioned to take advantage of future education and research opportunities. These opportunities will benefit students and community both on the local and international stage. 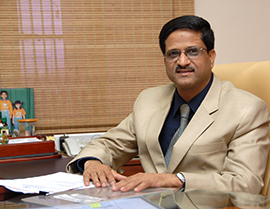 Dr. Rajiv Yeravdekar, Dean, faculty of Health & Biological Sciences has been a merited student throughout. Recipient of the National Merit Scholarship, he graduated from the prestigious B. J. Medical College, Pune in 1985, securing top honours in General Surgery & Obstetrics & Gynaecology. 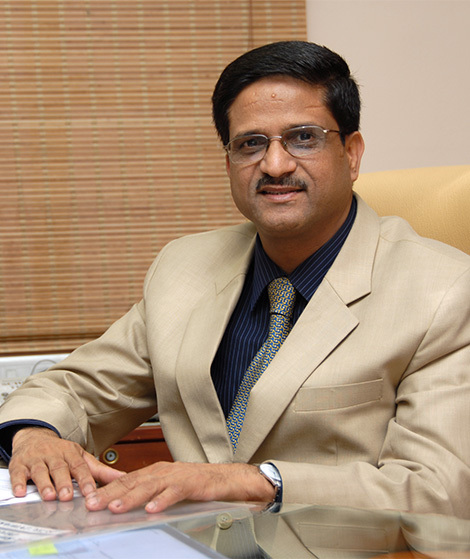 Dr. Rajiv Yeravdekar graduated from the prestigious B. J. Medical College, Pune in 1985, securing top honours in General Surgery & Obstetrics & Gynaecology. He completed his Masters in Obstetrics & Gynaecology in 1989 & was awarded the Gold Medal by Pune University for his outstanding academic performance. He has been awarded PhD under the Faculty of Management by University of Pune. 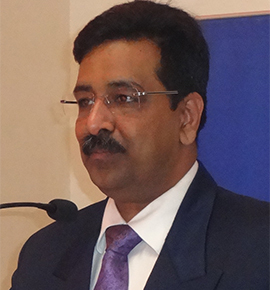 Dr. Rajiv topped the list of successful candidates of the Maharashtra Public Service Commission and joined the B. J. Medical College, Pune. His total teaching experience, to date is 29 years. He was invited by the Ministry of Health, Sultanate of Oman from 1992 – 1996, where his work was highly appreciated. On completion of this assignment, Dr. Rajiv conceptualized & established the Faculty of Health & Biological Sciences at the Symbiosis International (Deemed University) , Pune which provides on campus healthcare services, offers academic programmes pertinent to the health care sector & undertakes community oriented health care research projects. Dr. Rajiv is a Member of various Governmental bodies including Former Member, Board of Governors of the Medical Council of India (MCI), Govt. of India; Governing Council of Consultancy Development Centre (CDC), DSIR, Ministry of Science and Technology, Govt. of India, Central Supervisory Board – PCPNDT, Govt. of India; National Inspection & Monitoring Committee (NIMC)-PC & PNDT, Govt. of India; Maharashtra Medical Council (MMC), Maharashtra Nursing Council (MNC), Govt. of Maharashtra; various professional bodies like the Federation of Obstetric & Gynecological Societies of India (FOGSI); Indian Society for Critical Care Medicine (ISCCM); Society for Emergency Medicine in India (SEMI); Indian Healthcare Quality Forum (IHCQF), Mahratta Chamber of Commerce Industries & Agriculture (MCCIA), Indian Medical Association (IMA) & non-governmental organizations like FICCI, NATHEALTH, MCCIA etc. He is also a Member, Managing Committee, Symbiosis Society & Board of Management, Symbiosis International (Deemed University). Currently the Dean of Faculty of Health & Biological Sciences, SIU. Dr. Rajiv has contributed a number of articles on various subjects in many of the leading publications. He has presented a number of original research articles both at the National and International level. 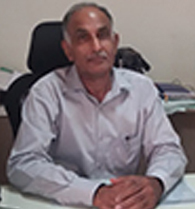 He is extensively travelled to the Middle East, South East Asia, USA and Europe, Dr. Rajiv is proficient in English, Hindi, Marathi, German & Arabic. Symbiosis Institute of Health Sciences (SIHS), is a constituent of the prestigious Symbiosis International (Deemed University). SIHS has conceptualized & implemented a group of professional up-gradation programmes meant to equip the healthcare professional with the appropriate tools in order to survive this age of fierce competition and specialization. The SIHS encourages a symbiosis of thought, word & action of all such professionals who would address the all important issue of health in its totality. Through its unique, innovative, career oriented programmes, SIHS plans to raise a cadre of professionals who would ensure delivery of optimum health care services. The global population is rising but the number of health care workers is decreasing relatively. With more and more nurses migrating abroad, India is facing an acute shortage of faculty and clinical practitioners. This necessitates the initialization of more and more educational institutions to meet local, national and global demand for health care providers. Keeping in view the World Health Organization's (WHO) theme of working together for health, Symbiosis trains and develops quality professionals to provide health care services at the grassroots and to meet the global demand. Through its pioneering efforts, the Symbiosis College of Nursing aims to create leaders in the nursing professionals by providing unique, innovative programmes that are responsive to the market need, keeping in mind the rapid advance in the health care sector in India as well as abroad. The curriculum emphasizes on a holistic approach to nursing care, in order to ensure an all round growth of the nursing students. Student nurses are trained to meet the international standards of professionalism and maintain the highest standard of clinical practice.The Programmes offered by SCON ensures numerous career avenues for a graduate nurse in the healthcare industry across the world. The SCON has associated with major hospitals of Pune city to provide the necessary "hands on" clinical and para-clinical experience; necessary for the students pursuing this hospital based academic programmes. Symbiosis College of Nursing under the aegis of Faculty of Health & Biological Sciences, Symbiosis International (Deemed University)is an ocean of learning. The college is an excellent educational institution for candidates who aspire to become a nurse. The college offers B.Sc. (N),P.B.B.Sc (N), M.Sc. (N),Advanced Certificate Course in Critical Nursing(ACCCN) and PhD under the guidance of well qualified, creative faculty. Symbiosis College of Nursing under the aegis of Faculty of Health & Biological Sciences, Symbiosis International (Deemed University)is an ocean of learning. The college is an excellent educational institution for candidates who aspire to become a nurse. The college offers B.Sc. (N),P.B.B.Sc (N), M.Sc. (N),Advanced Certificate Course in Critical Nursing(ACCCN) and PhD under the guidance of well qualified, creative faculty.Sharadha Ramesh, R.N, R.M, Ph. DThe College trains students of multi-cultural background and has its doors wide open for International students. The teaching learning process includes many facets of creative, innovative learning and encompasses the Basic and Advanced life support and therapeutic communication skills,medical, legal and ethical perspectives of care and research that ensures a holistic development in the learner.No stone is left unturned to equip the students with latest trendsin care. The college ensures an enjoyable learning and guarantees placements in best of the institutions both in India and abroad. I being analumnus of CMC,Vellore look forward to give a rich learning experience for nursing students at Symbiosis where the knowledge,attitude and skill amalgamates and transforms the candidate to become a passionate and elegant nurse who will be ever wanted by the various settings of health care and by the society. Dr. Vinay Rale M.Sc. Ph.D. (Microbiology, University of Poona, Pune) Post-Doctoral (Institute fur Mikrobiologie, Georg August Universitat, Goettingen, Germany DAAD Fellow), FIIM. Dr. Rale has versatile and rich experience spanning over 40 years - in teaching, research, administration, marketing, and techno-entrepreneurship and an excellent interface with premier teaching and research institutes and diverse industries. Symbiosis School of Biological Sciences (SSBS) was established as a new initiative of Symbiosis International (Deemed University) in 2011 under the Faculty of Health and Biological Sciences (FOHBS) to address the need for a school devoted to training, research and development in the field of biomedical sciences. In the past, scientific research has given highly effective technologies for the prevention and control of human diseases. However, with upsurge of chronic diseases like diabetes, cardiovascular diseases; re-emerging diseases like malaraia, dengue; and with the advent of newly emerging diseases like HIV, influenza there is an imminent need to invest and add value to application based research in the field of biomedical sciences. Our goal is to carry out biomedical research of highest caliber through global cooperation and to develop knowledge-rich highly skilled human resource towards the betterment of mankind and its society. Dr. Nayana Nimkar holds a Doctorate in Physical Education from Mumbai University, Maharashtra and is a recognized Ph.D. Guide with Savitribai Phule University of Pune, Maharashtra. She holds three master's degrees from Pune University, She also completed 5 credits in MS in Sports from Springfield University Massachusetts, in USA. Her academic and administrative experience of 38 yrs started with Chandrasekhar Agashe College in Pune, which she headed for 20 years. 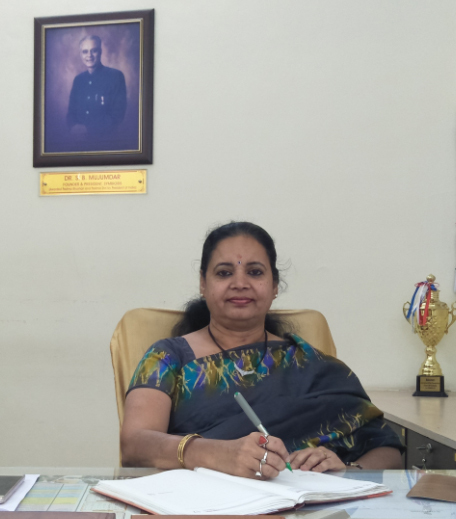 She also held prestigious positions as Director, Board of College and University Development for Pune University, and as founder HOD of the Department of physical education in the same University, where she was awarded the Best Principal's award. She has represented the state in several games in her time. She has worked on several National committees, like the Steering committee for sports in the 12th Planning Commission, Government of India, and for NAAC and NCTE. 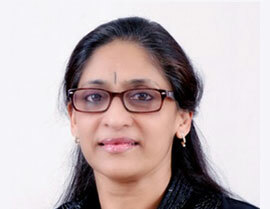 She has represented India on professional bodies like ACESS (Asian Council for exercise and Sports Science) and NAPESS ( National Association for Physical Education and Sport Sciences). She has been a keynote speaker in several conferences and has several publications to her credit. Having worked as a top notch Chef in the hotel industry, he specializes in European and Indian cuisine. Prof. Atul A Gokhale is a Chef with 26 years of experience both in India and abroad in the field of teaching, administration, hospitality and service industry Having worked as a top notch Chef in the hotel industry, he specializes in European and Indian cuisine. 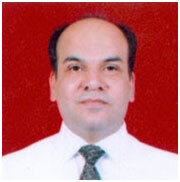 He graduated from Institute of Hotel Management (IHM) Bhubaneswar and is a MBA. He is also a distinguished hospitality educationist. He is a Certified Hospitality Educator (CHE) and master trainer from the American Hotel and Lodging Educational Institute (AHLEI) USA. He has over 16 years’ experience in running Hotel Schools in India and the Gulf countries especially in Bahrain and Saudi Arabia. He was instrumental in designing the National Skills Qualification Framework for the Hotel trade in Bahrain. He is a Member (MIH) of Institute of Hospitality (IoH, UK) since July 2005 and member faculty of American Hotel and Lodging Educational Institute, Orlando, USA, since 2006. He is a member of Toastmasters International since 2011 and is a certified Competent Communicator and Competent Leader. He practices Life Coaching as hobby and conducts free seminars for young professionals and students on developing self-belief in facing the challenges of the world. As an Entrepreneur he has done project consultancies for hotels and restaurants and owned and operated “Pinch of Salt” a corporate catering & consultancy service firm. ​ ​ Food service is among the fastest developing sector in the world. With the Indian food industry growing at 11 % annually, it is expected to touch Rs. 408,040 crores by 2018. This projected growth is expected to throw open many opportunities for Indian students to pursue career in food service industry. During the last decade, culinary has emerged as a preferred career option in the food service industry. Keeping in view the increasing demand for specialized program in Culinary Arts, Symbiosis International (Deemed University) announces the establishment of the Symbiosis School of Culinary Arts which offers a three- year, full-time B.SC programme in Culinary Arts. Symbiosis Centre for Health Skills (SCHS) is a multidisciplinary educational facility that strives to provide high-tech simulated and virtually created hospital set-up for teaching, training & assessment for all health care professionals in clinical and related management skills. The broad objective is to align with the National Agenda of Skill Development to create robust and vibrant eco system for quality education and skill development in healthcare sector in the country. This Centre provides education and training facilities to the exiting & new programmes which are skill based and competency driven. Website last updated on : April 18 2019 10:46:28.